At least 53 people were killed and as many as 100,000 displaced in floods and landslides triggered by torrential rains across Nepal, officials said on Sunday.Search and rescue operations were underway in several parts of the Himalayan nation. According to officials, several human settlements, hit by floods, were facing the risk of being submerged as rivers were flowing above the danger level.The disaster has mostly affected the southern Teraian plains area where, according to government data, around 40,000 houses were badly affected.The Nepal Home Ministry said 49 people were killed and 36 were reported missing. However, the International Red Cross said floods and landslides have claimed at least 53 lives over the past three days in the Terai region, bordering India, and other areas of Nepal.Thousands of acres of land have been submerged under water and the eastern Terai was totally deprived of power supply, according to the state-owned Nepal Electricity Authority.After several transmission lines were brought down by the floods, there was no landline telephone connectivity as well as mobile phone network in the eastern Terai region since Saturday. Officials said they would be fixing the electricity lines soon. Many highways have been obstructed and the government has mobilised security forces and government officials to start search and rescue operations as well as rehabilitation works promptly.Many rivers have overflowed their embankments in various parts of the Terai and, as a result, human settlements were facing the risk of being inundated by the flood waters.The Home Ministry has appealed to the people to shift to safer areas. Prime Minister Sher Bahadur Deuba addressed the nation on Saturday evening and announced relief to the victims.At least 700 Indian, Chinese, American and other tourists stranded in Sauraha in Chitwan have been rescued. 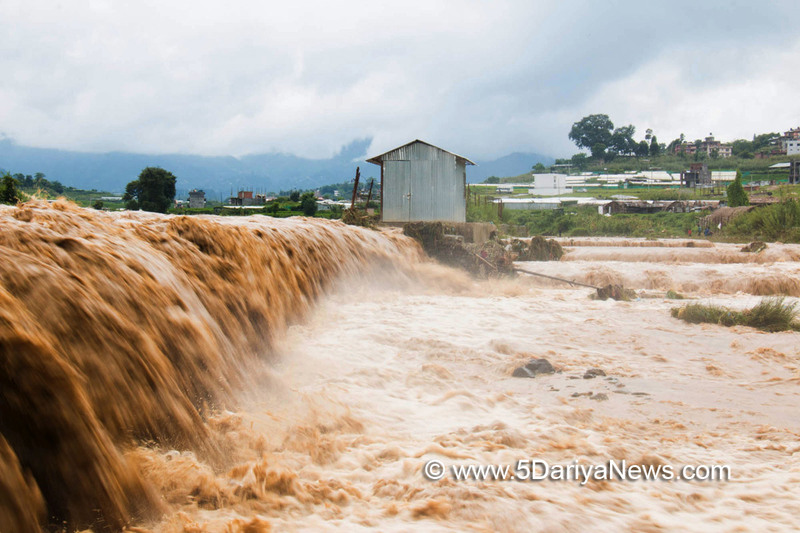 Flood waters had entered the hotels in that area, according to media reports.The rain is expected to continue in the coming days, according to the Nepal Meteorological Forecasting Division, raising fears that the rivers might wash more villages away.